Danny Collection is an economical way to engage and advance readers. The newest Danny Collection (DC95) includes I Dream of Danny, the latest set of 6 titles continuing the adventures of Danny, Norman and Bee. The titles in set 14 are Norman’s Candy Hearts, Danny and Norman at the Car Show, Danny’s Tadpoles, Stink Bugs in Danny’s House, Oh No, Norman! and Danny’s Bee Goes to the Hospital, ranging from guided reading levels B to G.
The 95 book Danny Collection includes a copy of each title in the 14 Danny sets, the 4 titles in the Scientist Danny set, the 6 titles in the Danny and Grandma Ruth set, and a copy of Danny and Heather Share. 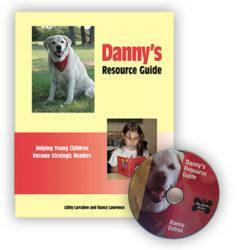 The collection also comes with a copy of Danny’s Resource Guide and DVD, written specifically for MaryRuth Books by reading authorities, Libby Larrabee and Nancy Lawrence. The 102 page guide contains precise examples and techniques for using the Danny series of books to teach reading. The coordinating DVD includes printable graphic organizers and assessment tools. The collection is designed to help young children become successful, strategic readers and writers. The titles in the Danny Collection range in guided reading levels from A to I, making it an economical way to both engage early readers and encourage their advancement. In order to continue reading about Danny and his friends, young readers must progressively improve their reading skills. The titles in the Danny Collection are appropriate for Early Emergent, Emergent, and Upper Emergent Readers. The 570 book Danny Classroom Collection (DCC570) includes a 6-pk of each title in the 14 Danny sets, a 6-pk of the 4 titles in the Scientist Danny set, a 6-pk of the 6 titles in the Danny and Grandma Ruth set, and a 6-pk of Danny and Heather Share. The collection also includes a copy of Danny’s Resource Guide and DVD, written specifically for MaryRuth Books by reading authorities, Libby Larrabee and Nancy Lawrence. The 102 page guide contains precise examples and techniques for using the Danny series of books to teach reading. The coordinating DVD includes printable graphic organizers and assessment tools. 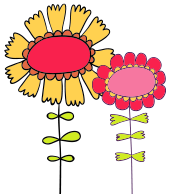 The collection is designed to help young children become successful, strategic readers and writers. The classroom collection is a MRB best value purchase and with the cost for each book below $5.00, it’s an economical way to get Danny for the whole class! Make integrating MaryRuth Books into your classroom library easy by downloading our printable label sheets that include both Intervention/Reading Recovery® and Fountas & Pinnell reading levels. Level labels are formatted to print on the Avery Easy Peel® 5160 Labels template. • Organize your Danny books in the classroom with a Danny Doghouse, complete with its own chalkboard roof. • Make Sure Reading is a Part of Summer Plans. We have 26 Books to Get you Started. Download Danny’s Summer from A-Z. Challenge students to how many boxes they can check before the end of summer. I had a boy who was very reluctant to read. After finding the Danny books, he began recommending them to other students in his class. These books are great because the dogs are relatable. The kids love them. I love your books and so do my students! Thanks for all you do to support our young readers! We just started using MaryRuth books at our school. We purchased the Danny Collection and we LOVE it! The kids love the silly antics of Danny and Bee. I personally love the books with Danny and Grandma Ruth. All of the Danny stories are so fun and I know the kids will enjoy learning with them next year. Thanks! We LOVE the books! The “Danny” series are a favorite among my Reading Recovery students. I think it’s the real-life character of Danny and reading about the silly things Danny can do that is so motivating to them. Many of my students have a pet, so they can make connections to this character. I use books from the Danny series. They are the only Mary Ruth books I have, but students love them. I enjoy using them because it helps to have familiar characters, none of them are too lengthy, and I feel like they are leveled appropriately and challenge students just enough. The pictures are supportive but don’t give away too much and still allow for problem solving. Kids also like writing about Danny, and I’ve had some make their own Danny stories in roaming. My students love animal characters. They especially love Danny because he reminds them of their dog, their friends dog, a dog that they might have in their lives. The size of the books is great, very user friendly. The font is good too. The pictures and art work are engaging and realistic which I think the kids appreciate. HI – I just wanted you to know that a series of “Danny” books has been donated to Oak Marr RECenter in Oakton, Va (outside of Washington D.C.). We are going to use them in our child care center. They are just adorable!